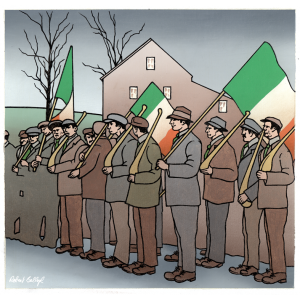 An image of the early days of the Irish Volunteers, depicted here without uniforms or weapons, drilling with hurleys. 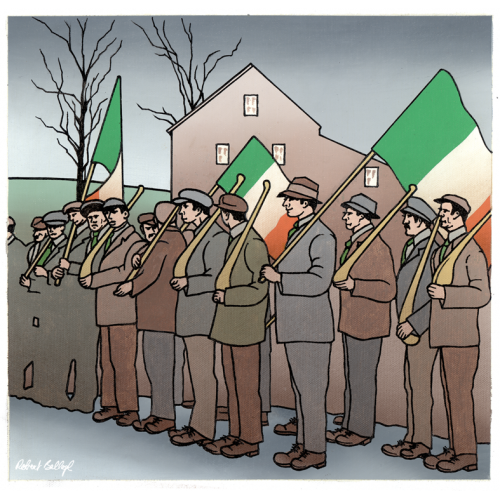 Based on a photograph (date and location unknown), Ballagh has imagined the men representing different aspects of the social spectrum — in the process imparting a personality to each of the volunteers. High-quality Giclée print.